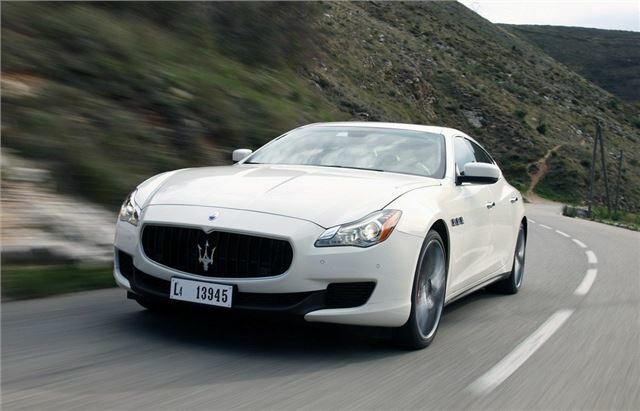 Full details of the 2013 Maserati Quattroporte have been revealed. Highlights of Maserati's range-topping luxury high performance saloon are that the sixth-generation car is larger, lighter, more luxurious and more practical than the car it replaces. Pricing details have yet to be confirmed, but it's likely that the entry-level V6 twin-turbo will be around £90,000. 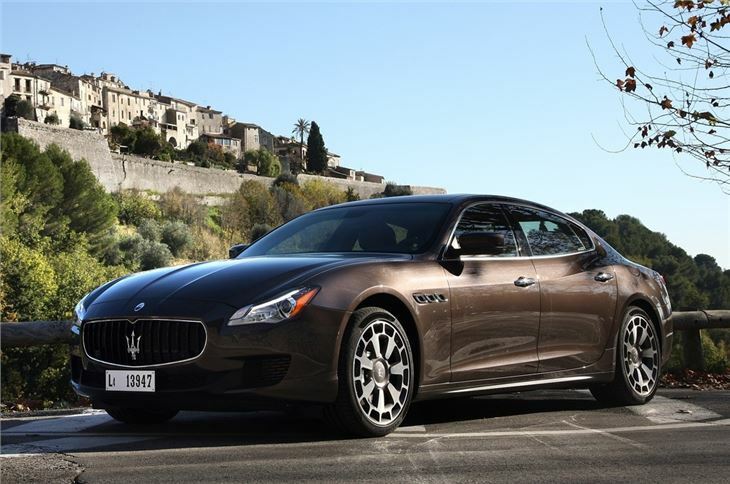 The new Quattroporte is extremely important for Maserati. The four-door is the company's new range-topper, and is perfectly positioned to appeal in the growing Asian markets, led by China, where the saloon and SUV are still king. The car will be built in the company's new factory near Turin, and it is the first V6 powered Quattroporte since the short-lived Citroen-based second-generation version, built between 1976-'78. That car might have been lacking performance, but the new one certainly isn't. It's actually the smallest-engined model in a range of Maserati-designed (and Ferrari-built) direct-injection twin-turbos - the 3.0-litre V6 produces 404bhp, and can be ordered with four-wheel drive. Sadly, Brits won't be receiving the all-wheel drive car, due to packaging issues with a RHD installation. Maserati claims that there's a 20 per cent reduction in emission from the larger twin-turbo 3.8-litre V8, compared with its amazing naturally-aspirated 4.7-litre V8 predecessor. But it's more powerful and delivers more torque - 18 and 39 per cent respectively - at 530PS (525bhp) at 6800rpm and 650Nm (480lb ft). On overboost, the latter figure rises to 710Nm (524lb ft) at 2250-3500rpm. The new car is much less of a four-door supercar than before - and although it's faster and more powerful, it's also hugely more accommodating. Overall length is now 5263mm (up from 163mm), and the interior is roomy enough to put it on a level playing field with old favourites in the luxury car sector, such as the Mercedes-Benz S-Class and BMW 7-Series. Maserati has created some amazing interiors over the past 30 years, and the new Quattroporte continues the tradition. 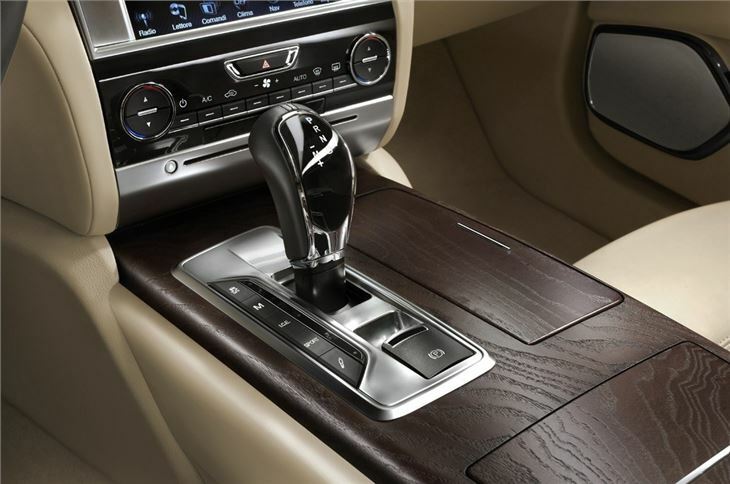 Tasteful mix of wood and leather combine with a choice of four- or five-seat layouts, and the equipment levels are generous. There's a much-improved Maserati Touch Control screen as standard, reversing camera and the optional 15-speaker Bowers & Wilkins audio system. For those who'll be using their Quattroporte as a mobile office, there's also WLAN-based WiFi and compatibility. But despite the ballooning dimensions, it's more than 100kg lighter than the old model. Maserati has embraced the use of aluminium - the bonnet, front wings, doors, boot lid, and suspension are all made from it, leaving the car with an overall weight of 1890kg. CO2 rating is now 278g/km for the V8 – a big drop. 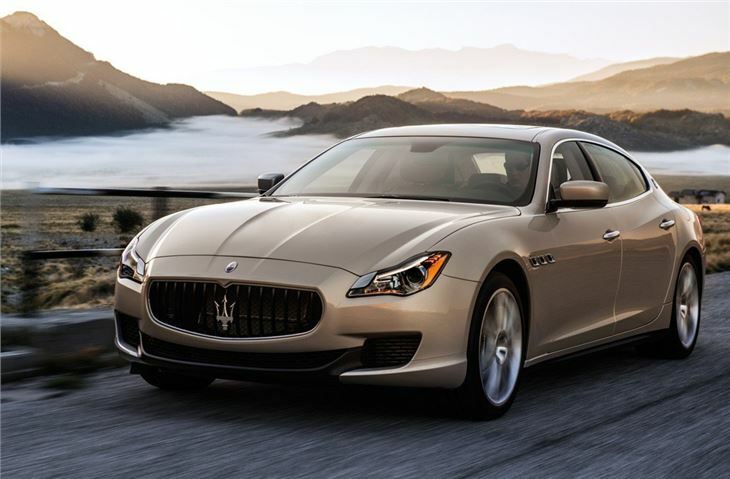 Performance figures are impressive for such a large car - the 3.8-litre Quattroporte's 0-62mph time is 4.7 seconds, and the maximum speed is 191mph. The V6 car is a little slower at 177mph. In terms of design, it's a clear extension of the current Granturismo range, with a similar concave Trident grille, provide and long bonnet. But the six-light cabin and more clearly defined feature lines are a new development. And the rear light clusters have a very familiar look to them, apeing Audi's current work. Handling should be usefully improved over the old car. 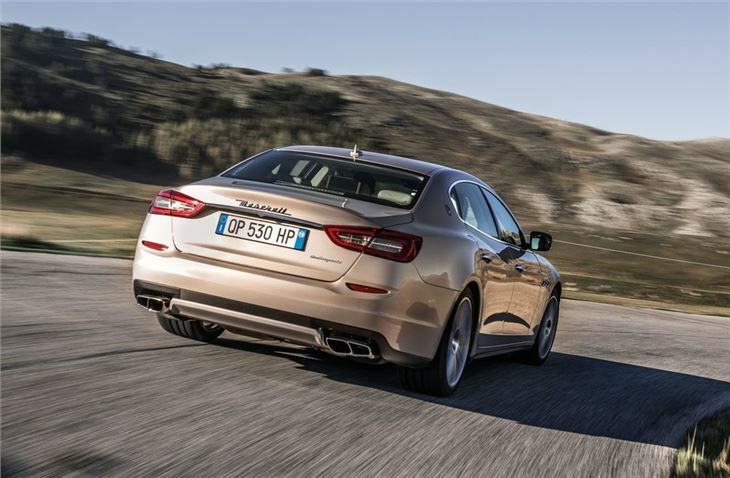 Its 50:50 weight distribution, double-wishbone front suspension and a state-of-the-art five-link rear suspension, are improvements that should make the Quattroporte feel more secure - especially allied with that optional (unless you're in a RHD market) four-wheel drive system. Deliveries in the UK should begin in mid-2013, with dealers already taking orders.